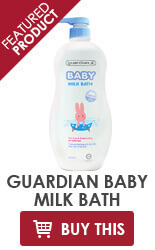 Guardian Baby Milk Bath has a mild formulation with Oat Milk, Aloe Vera and Glycerin that gently cleanses and soothes the skin. 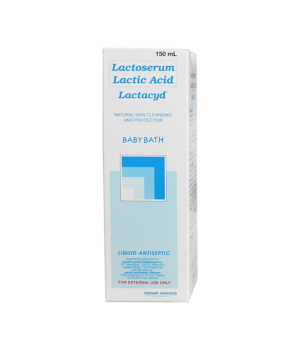 It is dermatologically tested, tear-free, Paraben-free and pH balanced, suitable for use on baby’s most delicate skin, leaving it smooth and moisturised. 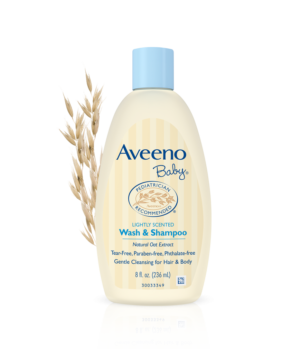 A gentle shampoo and body wash that is 100% natural with just the perfect amount of lather for babies and a delicate, powdery scent. 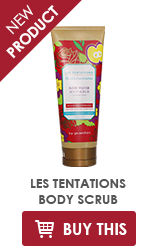 Rich in Shea butter, and sweet almond oil to nourish and condition delicate skin. 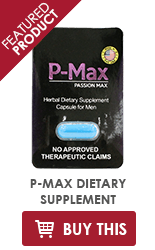 Absolutely FREE of SLS, sulfates, parebens, phthalates, dyes, sodium chloride formaldehyde, MEA, DEA, TEA & most common allergens. Hypoallergenic. 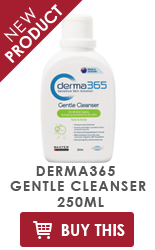 Dermatologiest-tested. Perfect for all skin types. 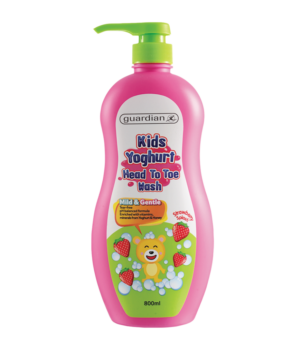 Guardian Strawberry Splash Kids Yoghurt Head To Toe Wash is specially formulated to deliver the goodness of Yoghurt and Honey to cleanse and moisturise hair and skin. This gentle and mild wash is enriched with Yoghurt Powder, which contains Vitamin A, B1, B2, B5, B6 and minerals to provide nutrients to skin, scalp and hair in one bottle. 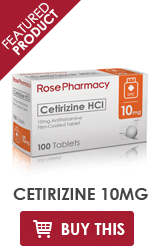 Added with Honey, it helps retain moisture on body and hair. 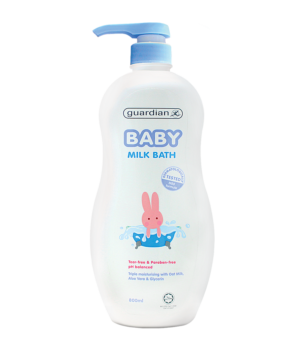 The pH balanced formula will leave skin soothed, conditioned and velvety soft with an invigorating scent that adds fun and enjoyment during bath times for your kids. 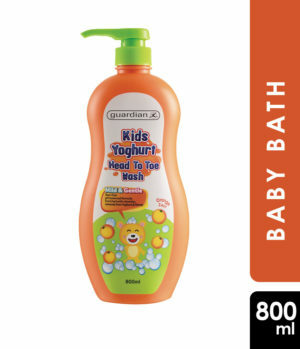 Guardian Orange Zest Kids Yoghurt Head To Toe Wash is specially formulated to deliver the goodness of Yoghurt and Honey to cleanse and moisturise hair and skin. 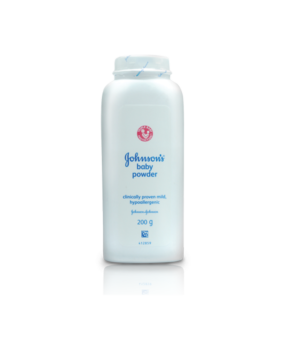 This gentle and mild wash is enriched with Yoghurt Powder, which contains Vitamin A, B1, B2, B5, B6 and minerals to provide nutrients to skin, scalp and hair in one bottle. Added with Honey, it helps retain moisture on body and hair. 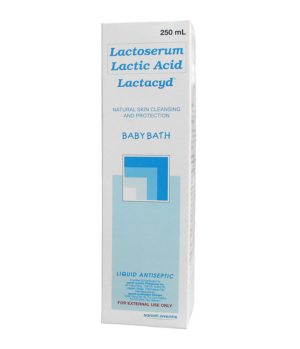 The pH balanced formula will leave skin soothed, conditioned and velvety soft with an invigorating scent that adds fun and enjoyment during bath times for your kids. 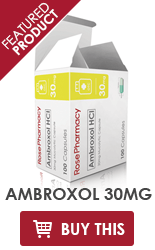 Rose Pharmacy E-commerce operates under Rose Pharmacy Fuente Osmeña Branch with FDA LTO No. 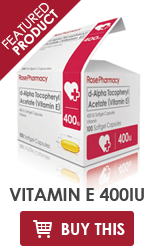 CDRR-RVII-DS-135© 2017 Copyright Rose Pharmacy Inc. All rights reserved.